The 2016 Npower Volunteers Ponder as the usual free data giving by N-power is delayed for the month of April, and some beneficiaries are beginning to think that maybe is a prank. Since today is April 1st MTN maybe playing April fool with them and some are wondering maybe the program has come to an end. I checked my data bundle balance at 4:30am this morning, l discovered no data bundle was given to me in my npower Sim card for the month of April as usually given every month. What about you? Or since election is over does it mean that the program has ended? NO MORE DATA BY NPOWER? Has any 2016 received free data today? No data renewal. Anyone here with a reasonable answer? Wait 0000 is MTN trying to play APRIL fool with 0our MB or has Npower stopped the subscription for beneficiaries? If the collection of device is not up to a year‚ you will get MB. One thing remains for sure! Npower will surely address volunteers on the cause of the April data delay. 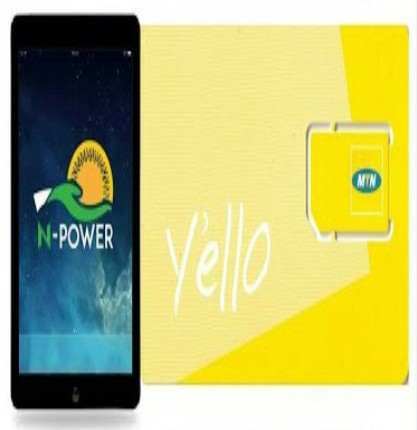 Remember in 2016 Npower partner with MTN to provide one year free 750 MB to beneficiaries to enable them surf the internet and also use their device to study the learning materials in their device and also acquire digital skills.